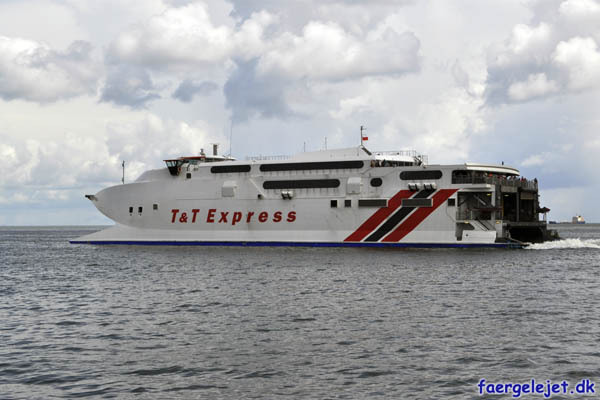 Katamaranen T&T Express (Incat 046) ved Port-of-Spain, Trinidad. © Foto: Incat Australia, 13. juli, 2011. Rederi: Republic of Trinidad and Tobago (Trinidad og Tobago). Rute: Port of Spain - Scarborough. Hvor er T&T Express nu?